What do you do when life hands you the unexpected? Teen Life speaks with Sarah Paulk and Tyson Dever about their new book, Trauma Is a Team Sport, to find out what it takes to thrive when it's taking everything you have to simply survive. Sarah Paulk and Tyson Dever meet with Sun Radio 100.1 President Daryl O'Neal in Austin. Daryl was one of the heroes who risked his own life to rescue Tyson from a horrific death. His courageous efforts and experience are included in the new book Trauma Is a Team Sport. Sarah Paulk and Tyson Dever speak live on Facebook TV with the INSIDERS group to discuss overcoming common everyday obstacles, how decisions made now can affect how trauma affects us in the future, and how tragedy affected Tyson's faith. Listen to Part 2 of radio host and activist Opal Singleton's interview with Sarah Paulk and Tyson Dever as they discuss the light and hope after trauma that exists for those even in the darkest of places. Sarah Paulk and Tyson Dever at Hays CISD Convocation 2018. 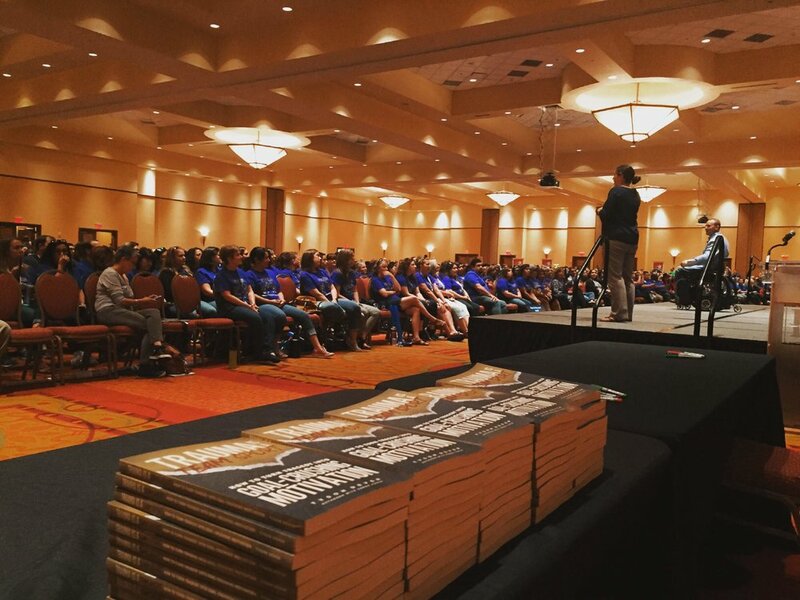 Tyson performed as the keynote speaker in front of 3,000 teachers and administrators, followed by a book signing with author Sarah Paulk.